The White Crested Duck is known for having a large crest on its head. 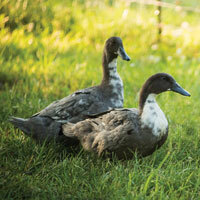 These unique waterfowl are a good choice for entering at a county fair. 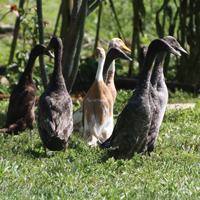 The White Crested Duck is a good dual-purpose breed. They are good egg layers, and also grow rapidly for those wanting to raise them for meat production. 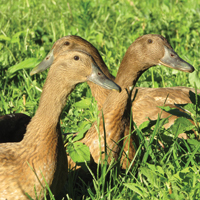 Mature ducks will average 5-7 pounds. Can I order a brown crested duck? 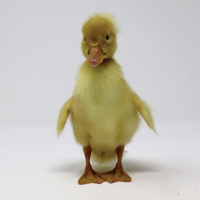 Sorry, we don't hatch a brown crested duck. Just the White Crested. Can I order a black and white one? 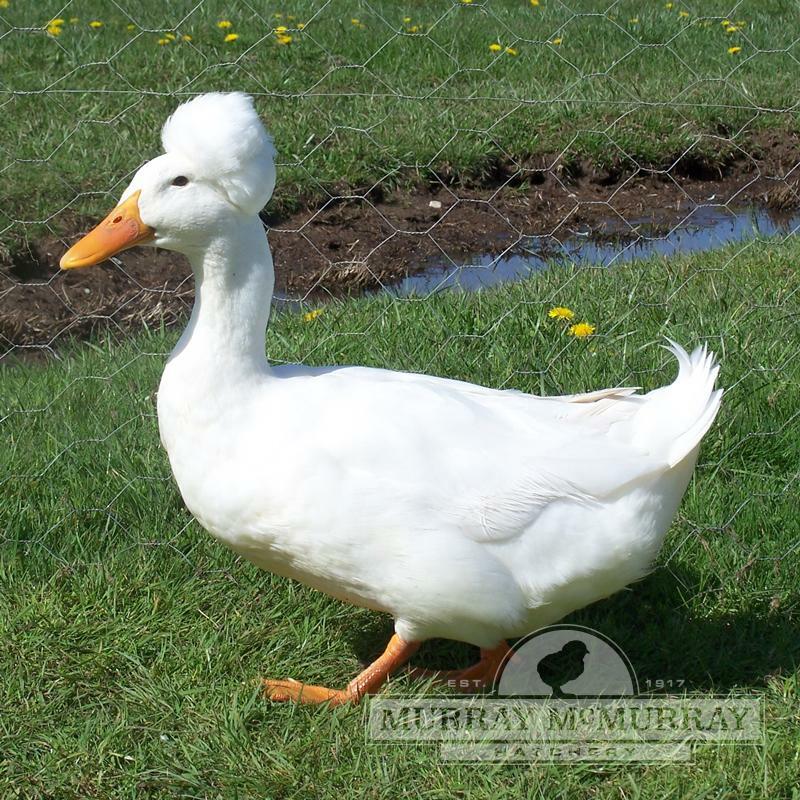 We only have White Crested available. 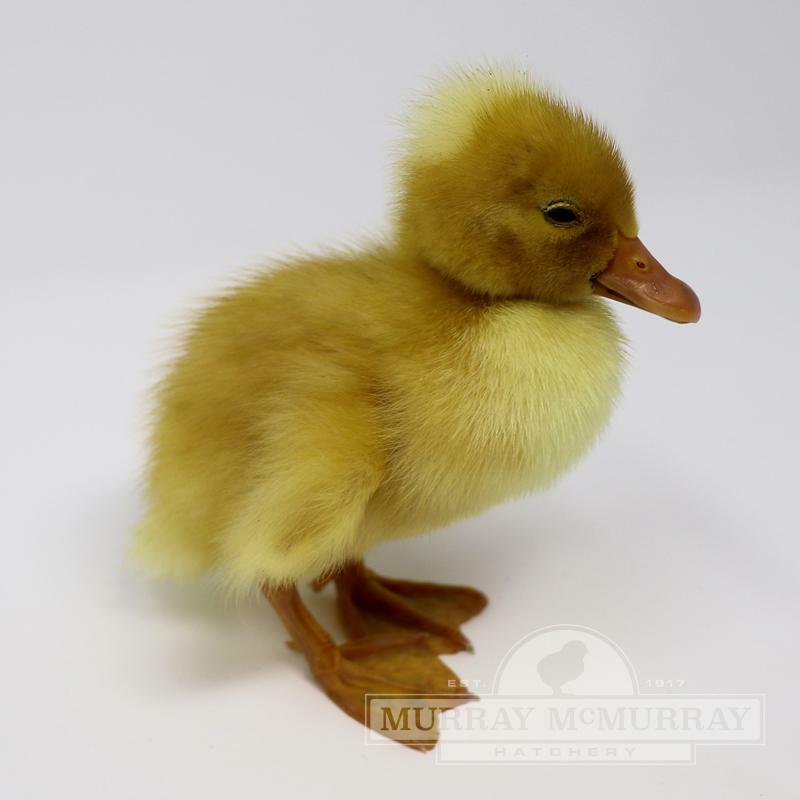 We do not hatch any other colors of crested ducks. What will the weight and size be when they are full grown? White Crested Ducks will weigh 5-7 pounds when full grown. I would love to get a pair of baby ducks, but do not want to worry about a swimming pool. Can they live without one? 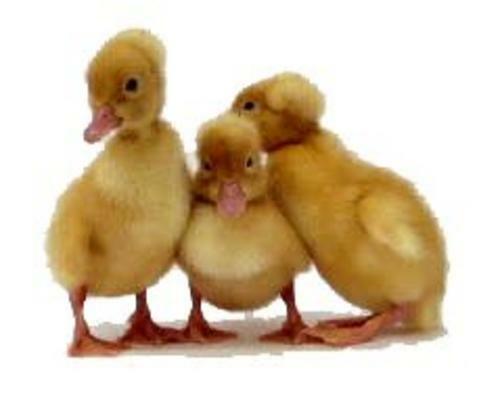 Ducks do not need water for swimming. However, they do need water deep enough to dunk their heads for moistening their eyes and washing out their bills. Can the White Crested Ducks fly away if their wings are not clipped? No, most domestic breeds of ducks will not fly. They are land ducks. 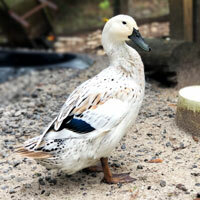 I have one White Crested Duck. How can I tell if it's a male or female? It depends on the age. Normally a duck's tail will curl up if it's a male.